I've had such an intense last week or so. There were a couple factors involved, however the trigger points did not seem to warrant HOW DEEPLY I felt grief, devastation, and anxiety overtake me. You know when, yes, something happened in your life that you weren't stoked on, but the reaction seems to be a bit more intense than seems warranted? What I know this far on my spiritual path, is that there are so many things we don't understand. Perhaps this situation triggered a painful past life memory, perhaps it simply got me in touch with the deeper sadness of the collective consciousness. Perhaps these feelings have been carried through my blood line, and I am clearing them for my ancestors. I don't know. All I know is I felt it, deep. So today I sat in ritual, and gave it away. What I'm about to share with you is an exercise I do fairly often. I'd like you to put it in your "toolkit", for when you are feeling off, and need major support. Or even for when you are feeling great, and want to get even more in touch with the flow! Today I sat in ritual. First, I did my dishes, cleaned my space, and made my bed. I lit my bundle of cedar to smudge my home. I gathered all of my crystals, and collected flowers from outside, to invite the fairies in. I got out my pen, paper, and a lighter. And then I made a circle. I made a circle of crystals, and I sat in it. I invited my Spirit Guides, my angels, my Spirit Animals, and all the light bearers who work with me to be with me and guide me. I spoke what I felt. I talked to the Universe, and told it I was confused, and needed a healing. I asked for clarity, for closure, and to feel really good about the situation. I wrote my prayers down on a piece of paper, and I burned them. I watched the words turn into ash, and then into smoke. I knew that these prayers were being heard, as I meditated to receive any guidance that wanted to come in. When I do this - that is, sit in ritual - I feel enormously connected to the Universe. And today was next level. I felt my trust in the Universe deepen immensely, and it was really beautiful - just what I needed. I also have an easier time releasing any given situation when I sit in ritual. Since I use my physical energy and physical tools to communicate with Spirit, my more logical mind has an easier time understanding that I AM HEARD, and guidance + creative solutions are on their way to me now. I encourage all of you to create your own rituals when you need assistance. You can do them in any way - rituals are meant to be created from your intuition. You can have a bath, and sing your prayers out loud. You can go into the forest, write your prayers down, and give them to the roots of a tree that calls you. You can bathe underneath the full moon and light a candle for your intentions. You can be as fancy or as relaxed as you'd like - as long as you're communicating what you need to with the Universe - you will feel great about it. Introducing: A Series of Women's Circles in Tofino, BC! You're invited to join myself + a host of other beautiful ladies this Summer! If you have any questions, please don't hesitate to contact me here! The stunning artwork on the poster is by Danielle Noel. I know a lot of people, especially women, are attracted to crystals. In fact, for many of us, crystals are one of the first things we connect to on our spiritual journey. They're just so preeetttttyyyyy. A lot of the time, this fascination with crystals, though undeniable, seems a bit complicated, maybe even confusing. Firstly - why are we so drawn to them? Secondly - there are so many of them, how do we know which one is right for us? And finally - what do we even DO with them? As a crystal loving lady, I've had the pleasure with working with many, many stones, in part due to my crystal necklace business that I created in 2012. 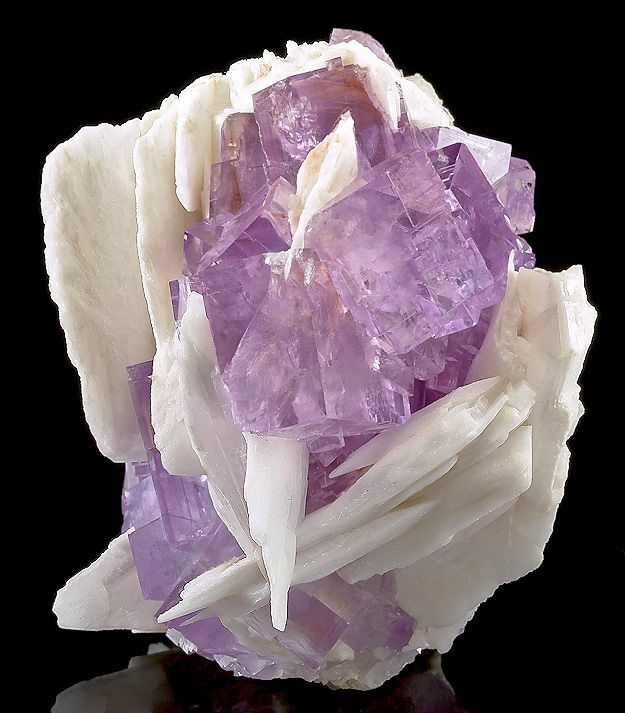 Throughout this time, my job was to go to crystal stores, and select the perfect crystal for my clients in question. Some of these clients were completely new to crystals, and were partly unsure why they were even ordering from me. Others had been collecting gems for a while, and wanted to step further into their world. Regardless - a common thread was that many women were simply not confident in their ability to choose the right stone for themselves. So the focus of this post, though I will answer all three questions I posed at the beginning, is to give you a quick lesson on how to choose the perfect stone for yourself. Every crystal is different. 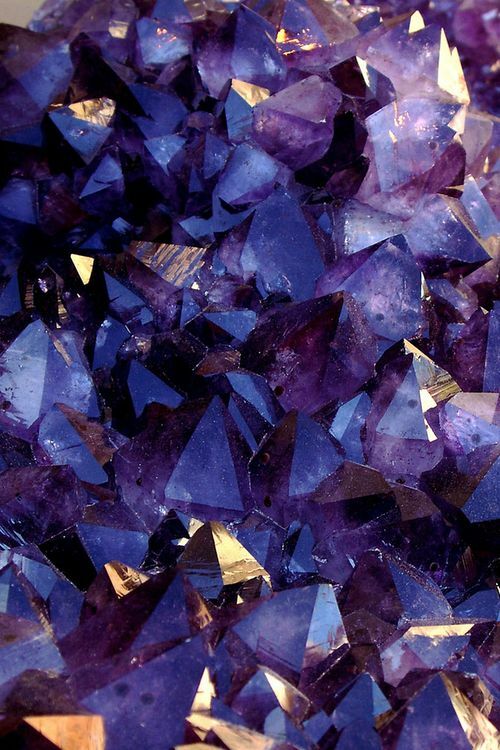 Every crystal has it's unique properties. 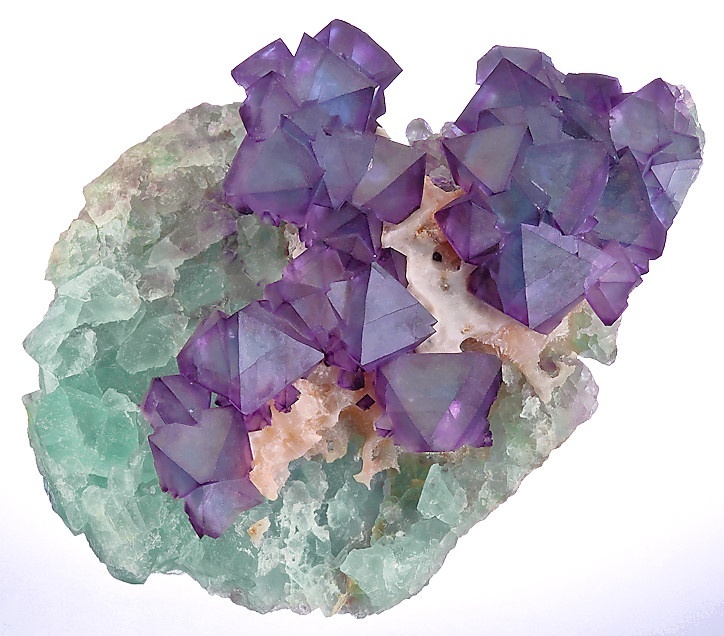 Every crystal has received unique energy from it's unique placement on the planet. 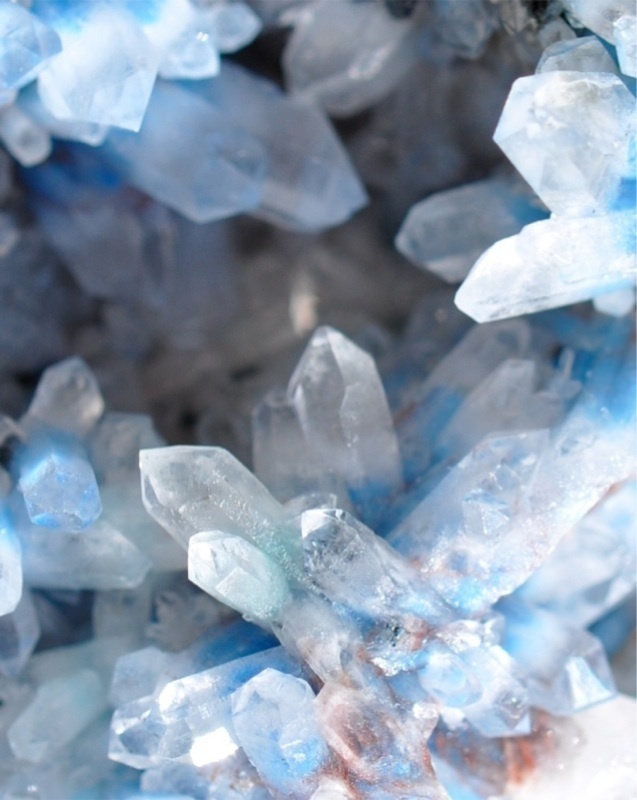 I believe that different crystals also connect to different parts of the cosmos - to different star systems, angels, and the like. 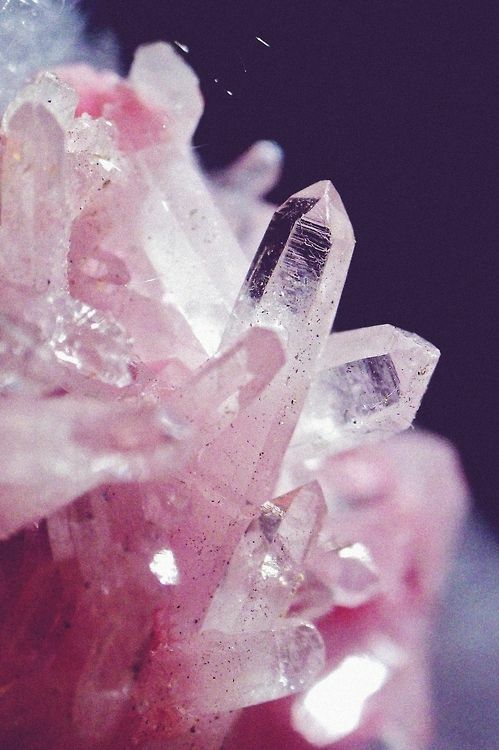 In all - crystals are a mystery. There are a part of the beautiful, great unknown, and to share space with them on the planet at this time is a true gift - they are teachers and healers. I could go on and on, but I'll save more for later blog posts. Ok. This is the fun part. Crystal choosing is not rocket science. It is not logical. It is intuitive, and in many cases I would say, you simply can't get it wrong. 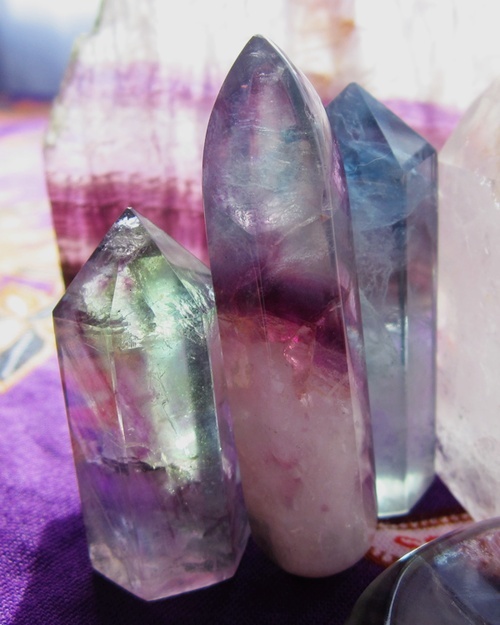 All you have to do to choose the perfect crystal is set an intention, and surrender. Before you go to the crystal store, simply say "I intend to be guided to the perfect crystal for me at this time. I ask that Archangel Jophiel please clear away any negative energies from me now, so I can clearly see + feel which one will be right for me." If you forget this prayer when you go, not to worry. The two main points are to set the intention that you'll be drawn to the perfect one for you, and to clear your field so it's open and receiving. Now walk around. The first one that you are drawn to and touch, is likely a great one for you. A big point here - Your job is not to select the one that has what you need on paper. (ie. 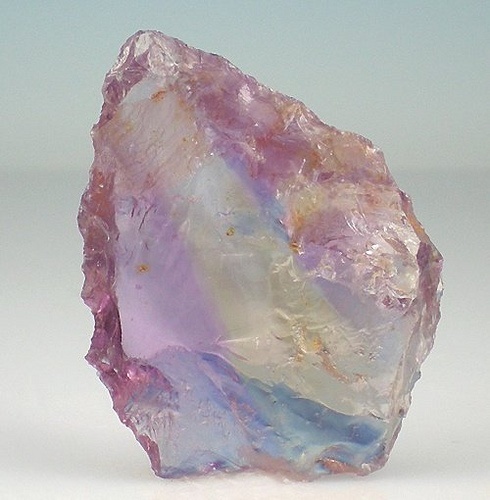 This stone is great for heart opening and calming stress) It's always nice to read descriptions, but I find reading them after you've selected the stone is best. That way, your mind doesn't get in the way. You see, these descriptions are simply many people's experiences with the stone, or the traditional history of it. Although these descriptions often have lots of value and truth, they are secondary to your own innate intelligence of what's good for you. Use your intuition & have fun reading the descriptions afterwards. If you're confused, and you find 5 or 10 more stones while you're at the store, I would advise buying the one that you first touched. Ok - Now what do I do with it? Another way to work with them, is to hold them. Simply hold them. Hold them while you're reading, or meditating, or having a phone chat with a friend. This is how you get to know it, while also receive it's healing benefits. Experiment and observe. In addition, you can try one of my favourite applications, which is to place stones on your chakras, or on points of your body that are hurting. 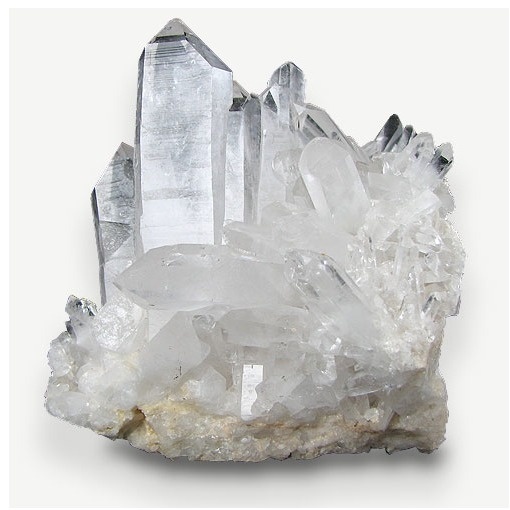 I have used crystals successfully to treat stomach-aches and menstrual cramps. This process is intuitive. If I'm hurting, I will simply grab the first stone that comes to mind, and place it on the part of my body that is in pain. Sometimes this works magic, and sometimes it only helps a bit. Again, experiment and observe. I've laid out very simple ways to use crystals - there are books and courses that deal with crystal healing - but for now, it's best to start intuitively and simply. Just have them around, hold them, and use them when you're in pain. Make up your own ways to use them. Charge your drinking water, or bring them into the bath. Plant them in your garden, or leave them under your pillow at night. Have fun, you can't mess up, just go with the flow, your intuition, and know that once you start working with crystals, you will have them in your life for years to come. Digging this content? Sign up for weekly updates - It's free!